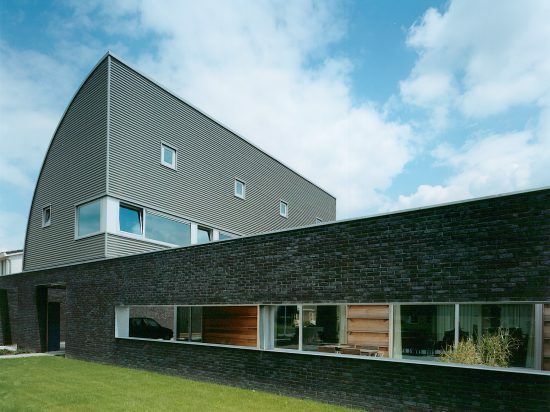 "I have not made any concessions when it comes to the shape of the house"
When Jacobine Hoorntje and her husband were looking for a new home base, they never expected to end up in De Wijk. 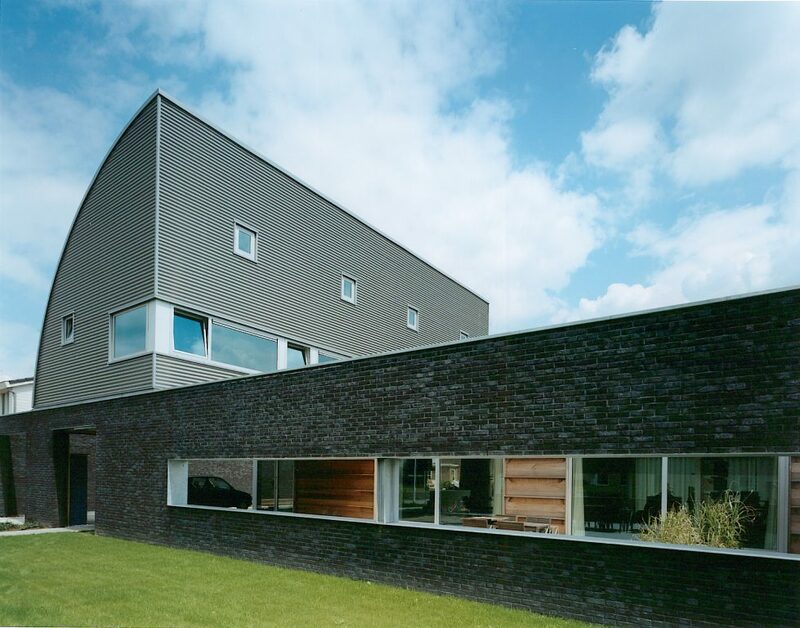 The pair saw the patio house, which was designed by Arnoud Olie, for the first time in a picture at a broker. They were not immediately taken with they saw, but decided to take a look in the new housing development district Dunningen. They fell in love with the modern home at first sight. 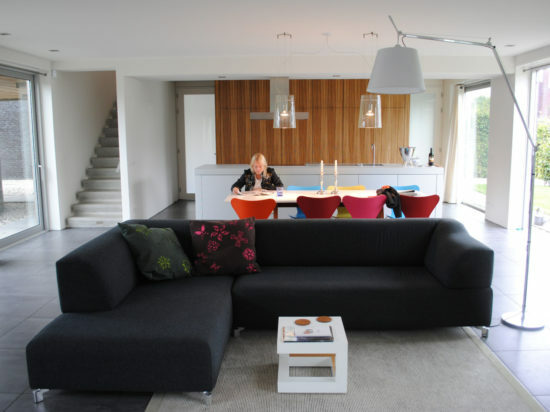 The spacious living room is simple and sleek, so that the wooden kitchen attracts the most attention. The household appliances have been banned to the pantry, so that they do not upset the whole. Next to the kitchen is the concrete staircase, which leads to the upper floor. Here is the master bedroom with adjoining bathroom, the study and children’s bedroom with separate shower. In the attic, you will find the pièce de résistance of the house. Here is a space where you can experience the shape of the house intensely. 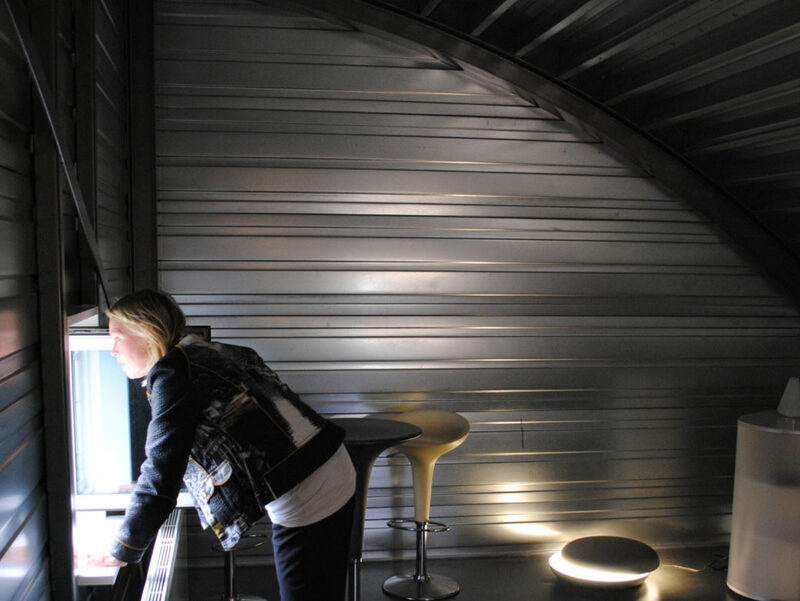 The grey, aluminium walls give the room a futuristic look and the round ceiling makes you feel safe.